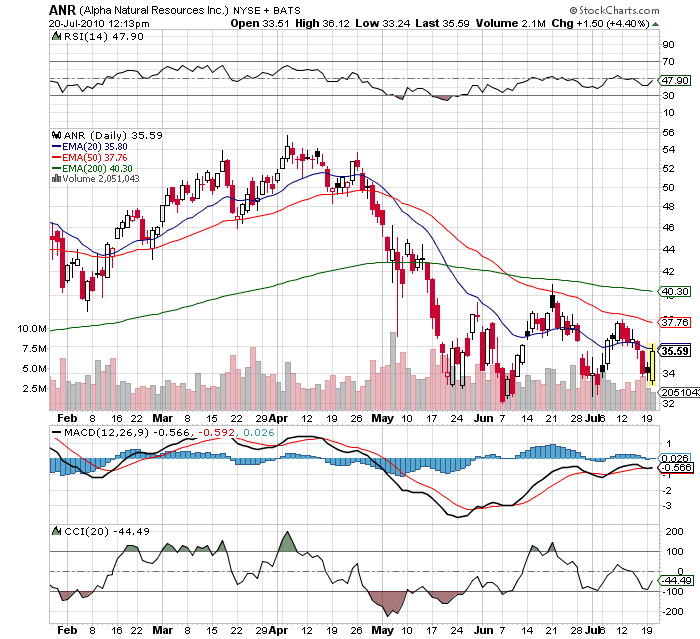 Alpha Natural Resources (ANR) appears to have hit the lows for now. The stock has had a couple of higher lows now based off trading today. Also, it has huge support in the $32-34 range having trading in that range for a couple of months now without breaking lower. ANR and its met coal is a big play on the growth in coal demand in China and India. 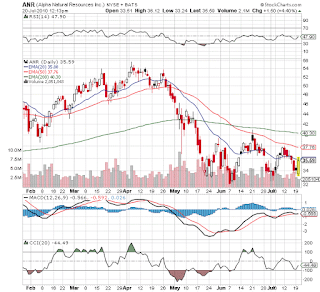 With the China stock markets turning around lately (up 2% on both Mon and Tue), its only natural that ANR would follow. Massey Energy (MEE) is still lagging somewhat but we'd be buyers of them at this level as well.